Triglav Park is located in a picturesque setting where all things Slovenian are celebrated. Recognizing our rich history, sense of family, faith life and cultural significance, the vision for the current location in the Town of Norway was for Triglav Park to be a second home to the many Slovenian refugees who came to Wisconsin. 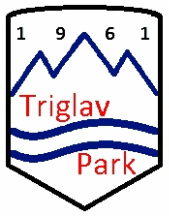 In the 50 years since, generations have found serenity, history and pride at Triglav. Your support helps us to carry the Triglav legacy of service and culture through our next 50 years, ensuring that the Slovenian spirit of giving continues on. We can be very proud of Triglav Park, a place that many have come to enjoy whether they are Slovenian in ancestry or spirit!